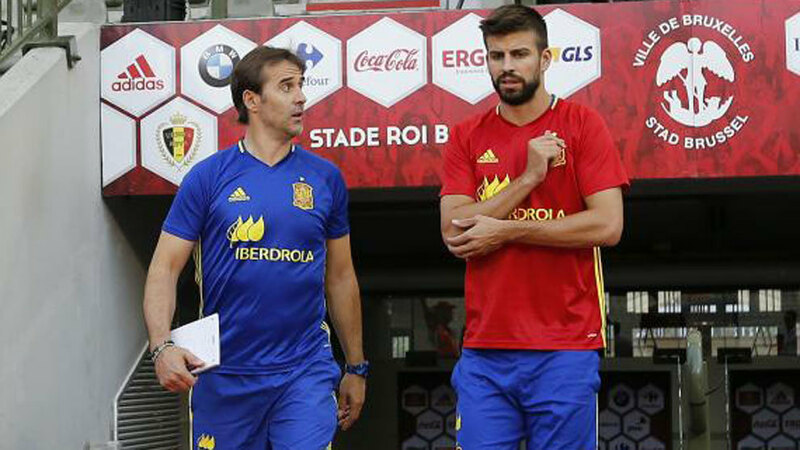 One of the key points made by Julen Lopetegui when the Spanish national squad met up for their latest fixtures was based around a total focus in the media on La Roja activities, a pledge that the Spanish FA (RFEF) felt Gerard Pique subsequently broke. Following Spain’s friendly win over France in Paris, the Barcelona defender went on a tirade against Real Madrid’s ‘values’, insisting that certain key figures are not balanced given that they are also attendees at the Estadio Santiago Bernabeu. This deviation from the RFEF’s demands has upset those within the organisation, who already felt that the national side was pushed into the background during international breaks. That is especially given La Roja’s impressive win at the Stade de France, following which Lopetegui maintained his pleasure at the performance in spite of the knowledge that the newspaper headlines were already written by Pique.